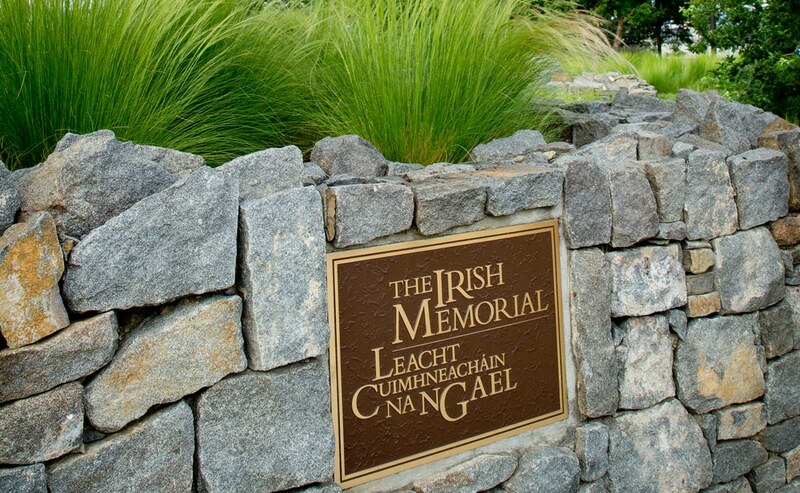 Client: The Irish Memorial Inc.
21xdesign was the visual communication design team for the project and responsible for the identity, the environmental graphics and the commemorative book for the park. 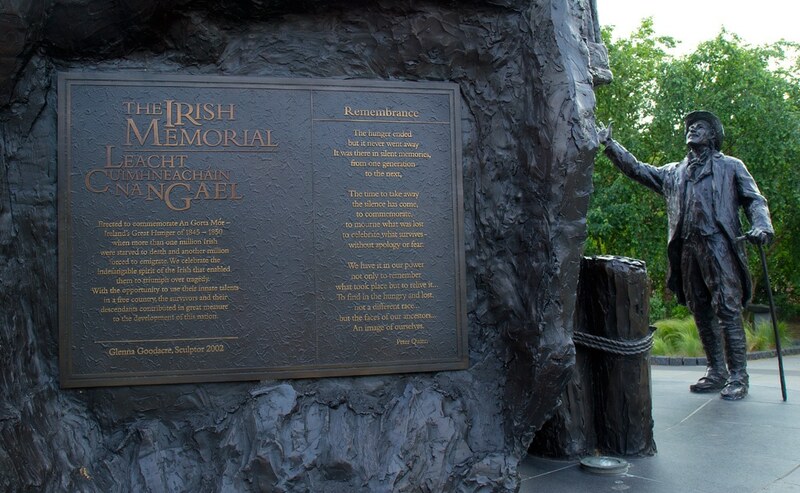 We collaborated with The Irish Memorial Inc., and many other incredible people to create the Memorial park.Located in Philadelphia. 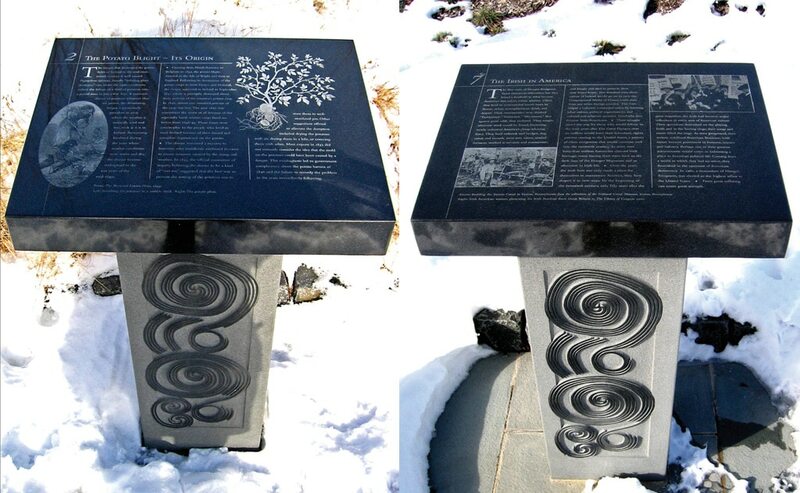 21xdesign was asked to design the environmental exhibit graphics and the for the park. 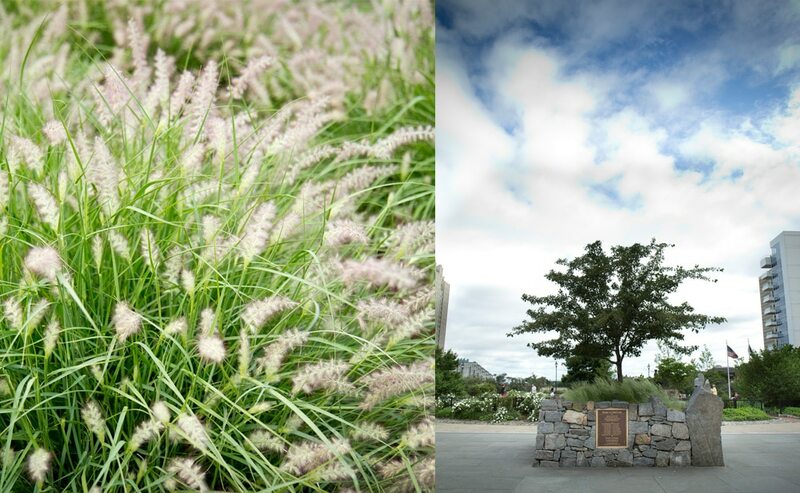 We collaborated closely with The Irish Memorial Inc., the landscape architect and the many others from the team that created the Memorial park. 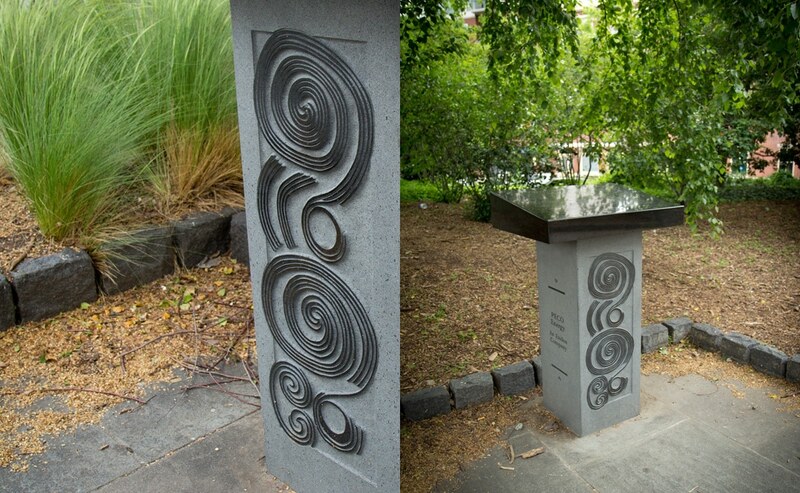 The park comprises of the centerpiece which is the Memorial bronze sculpture by the artist Glenna Goodacre. 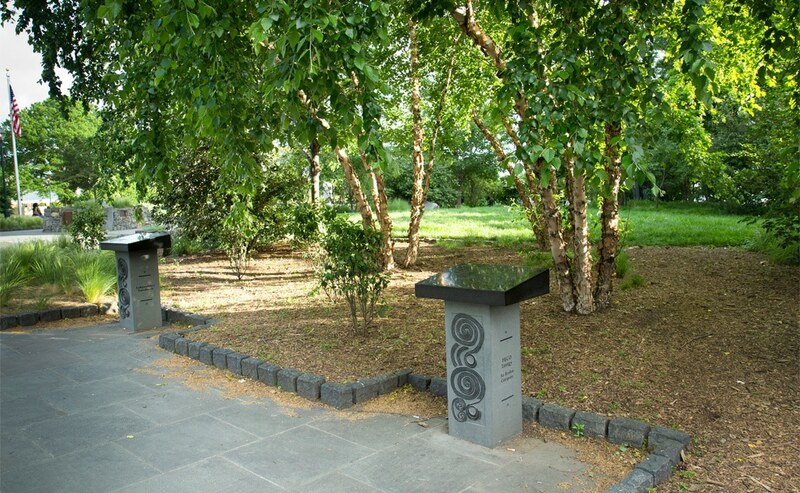 Surrounding this are gardens and foliage with the western side of the park featuring native american plants and foliage and the eastern side evoking Irish flora. 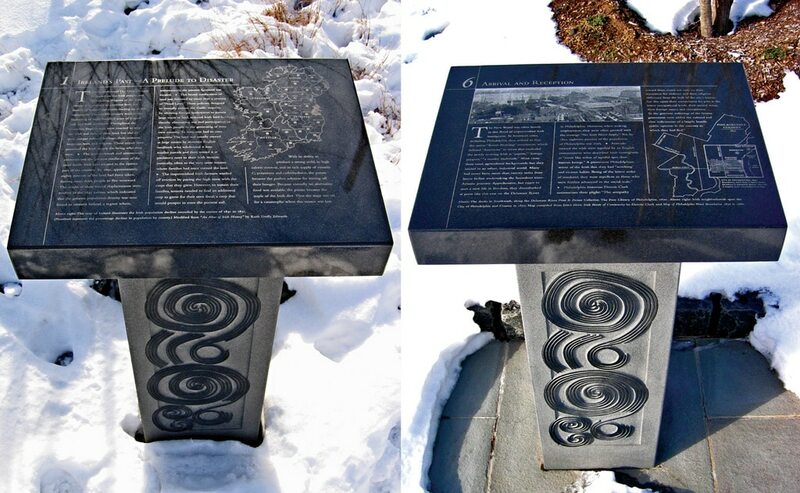 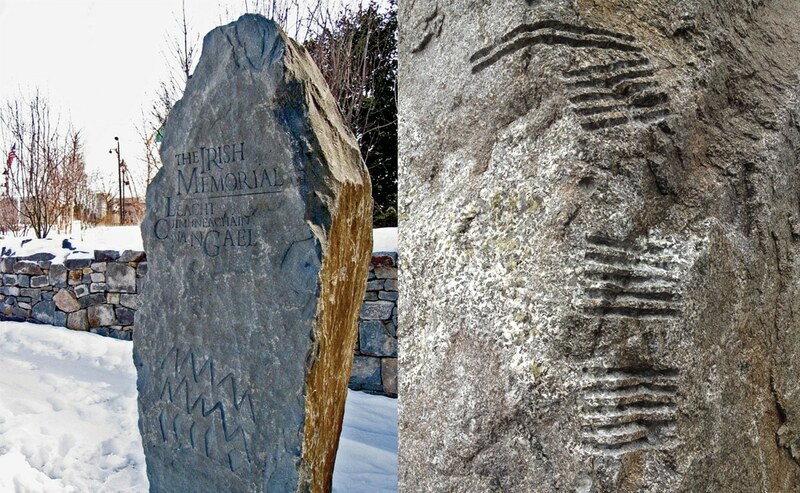 Visit the Stories section to learn more about The Irish Memorial project.